Continuous-Conduction-Mode (CCM) Totem-pole power factor correction (PFC) is a simple but efficient power converter. To achieve 99% efficiency, there are many design details that need to be taken into account. 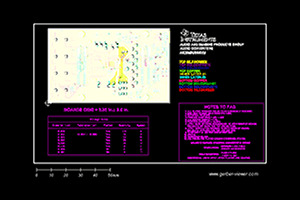 The PMP20873 reference design uses TI’s 600VGaN power stage, LMG3410, and TI’s UCD3138 digital controller. The design overview provides more details on the CCM Totem-Pole topology operation, gives the detail design considerations of the circuit, and provides magnetics and firmware control design considerations. 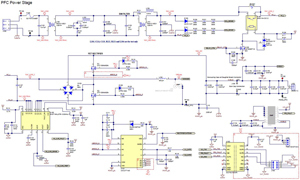 This converter design operates at 100KHz. A soft start at AC line crossover minimizes current spike and lowers THD. The PFC Firmware measures AC current and PFC output voltage in real-time and predicts the dead time needed for the switch node to complete a full swing. The adaptive dead time control effectively minimizes both switching loss and GaN FET body diode conduction loss. A GUI is available to support parameter setting and control loop tuning.